Jarrett loves music and teaching and his professional life has consistently embraced them both. 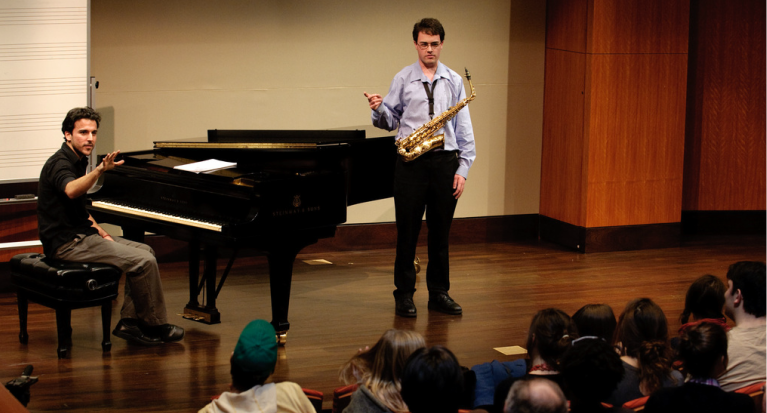 He teaches classes and private lessons in jazz, theory, and improvisation at Franklin & Marshall College and Millersville University and works as a teaching artist through Carnegie Hall. In addition, he offers private lessons out of his studio in Brooklyn, NY and also worldwide via Skype. Please get in touch for more info.